You will have to forgive me for continuously commenting on how things have changed but they have! 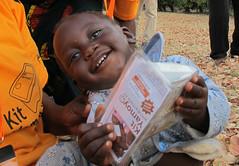 And here’s another thing – the rise of the Zambian NGO. The last 15-20 years has seen the development of the Civil Society Sector (Third Sector) as government policy has changed and free enterprise has been encouraged, an indigenous Civil Society Sector has developed. Even, in the UK, where we have had a Civil Society Sector for hundreds of years, the present government is also attempting to revitalise the sector with its ‘small government, big society’ policy. Keepers Zambia Foundation, which we visited yesterday, was one of the first Zambian NGOs to form some 15 years ago. Today we met with Victor Simfukwe of Transaid (transport for life). Victor was born in Mpika (where we lived) which is another coincidence. So we were able to share stories about the place 20-odd years ago. Victor had some very useful comments to make about ColaLife which we will put into the mix and develop further at the workshop next Wednesday which Victor will attend. 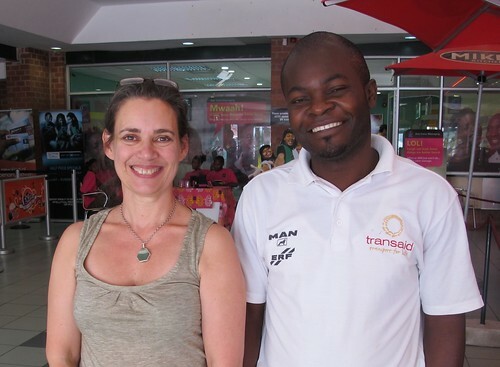 But it was really interesting to hear about Transaid’s bicycle ambulance project which Victor ran with a colleague. Victor had some very moving stories around this project that has saved many lives. 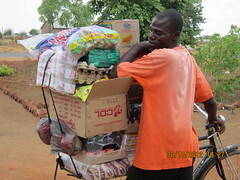 There is a child in Zambia called ‘Trailer’ who would not be here if it wasn’t for Transaid’s bicycle ambulance project! The rest of the day has been spent trying to get the internet to work (we gave up and went the local internet cafe in the end!) and preparing for the workshop and for our meeting with SABMiller’s Chibamba Kanyama tomorrow. We bought his book today and Jane is busy reading it as I type. I will get a synopsis later! As well as these blog posts, I have been keeping an audio diary which you can listen to here. Hi Simon, Jane – the diary is wonderful, and such a brilliant journal form the project. It makes me want to meet the many wonderful people you introduce. Perhaps that will be possible, at least virtually. Looking forward to the workshop, although guess Chatham House may prevail.